If you haven't ever fallen ill during a trip, how? I'm one of those people who falls sick a lot, especially when I travel, or after my trip. It gets especially hard to manage travel burnout if you travel really frequently or if that's your job. So after some years of experience and a lot of tried and tested online research, here are some of my best tips to not fall sick when you travel. - especially on the plane. Planes are ridiculously low on humidity and in fact have almost zero water vapour in the air circulating because the process is expensive and 'unnecessary' according to airlines. 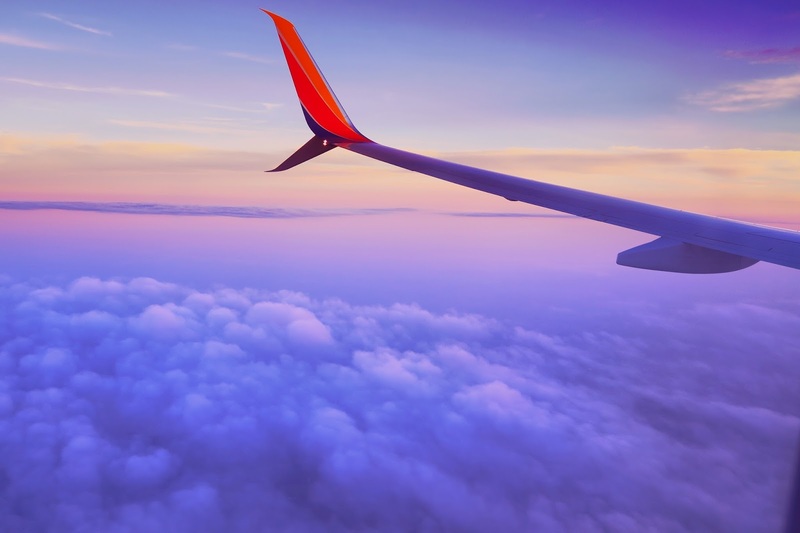 If you are a frequent flyer you can often experience fatigue, major dehydration in the form of dry skin and cracked lips and you're overall at a higher risk of catching a respiratory disease. So make sure you drink a couple of bottles of water on your flight and once you've landed. If you wear contact lenses, like I do, make sure you carry eye drops on the flight with you and add them every couple of hours because dehydration occurs in your eyes as well. Vitamin C boosts your immune system so make sure that you're consuming enough juices, fruits etc. If you think you aren't you might want to consider taking harmless chewable Vitamin C tablets once in a while. 3. Sanitize like your life depends on it. I kid you not, 85% of the time I could've avoided getting sick if I just had sanitized and washed my hands more often. You don't realise how much you touch your face and how much food you end up consuming with unclean hands. Travelling is obviously so much dirtier than staying at home and if we wash our hands 10 times when we're at home , we should wash them 30 times when we're travelling. 5. Stop for a second. Plane after plane and adventure after adventure can, and has to, take its toll on your health. Give yourself a day to simply explore the corners of your hotel room bed and Netflix. Because at the end of the day, we're all human. Let me know if these tips helped you and let me know yours in the comments! Also i'm thinking of doing a Q & A on the blog because i get the same questions on Instagram, so if you have any questions about travel blogging, Wanderlustric , me, anything really, leave it as a comment and if there are enough, I'll write a post on it!